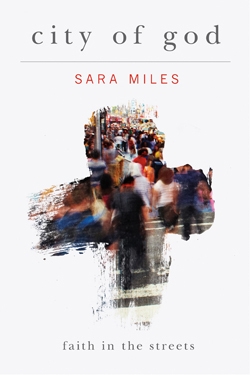 Yesterday’s review was meaningful for me to write; I hope you read my remarks about the new Sara Miles book, City of God: Faith in the Streets. Although it is a memoir about her experiences of mostly one Ash Wednesday, it raises profound and urgent questions about how the church will (or won’t) adapt its liturgies and symbols and language to reach a “spiritual but not religious” or syncretistic, confused un- or de-churched population. Sara loves her liturgy, loves her liberal Episcopal church, and loves her neighborhood. Her assumption that it is that very geography, outside the walls of the sanctuary, that is the locus of the Kingdom of God is missional and more. Those that follow our blog here know that these questions have circled around our own hearts and minds for decades. Her new City of God is, without her saying so, a reply to the early fifth century book you should also know about, Augustine’s classic City of God. The question is real: where can we see God’s redemptive work on Earth even as the cities of human hands are such as they are. What is the relationship between the church and the world? What can we say about God’s will be unfolded in history? What does it mean that Jesus’ Kingdom is coming? Her feisty and very contemporary memoir is pregnant with the most important questions we can ask, isn’t it? Another reviewer might have chosen to highlight views, anecdotes and practices in Sara’s book that are perplexing, and different than St. Augustine’s, and that would be fair enough. I choose to say what I admired about her book and why it is so very interesting and even valuable. I hope my comments drew you towards her story, her questions, her efforts, for you to ponder and to be provoked. How do you effectively serve the poor and the refugee and the lonely? Do you draw on other ethnic and cultural traditions and strengths, as she so heartily does? And how does your own preferred style of liturgy and ritual and tradition contribute to faithful living in the world God loves? Would you do church in public? The questions about the role of liturgy as it shapes embodied practices are the questions steaming up from the streets there in Sara’s Mission District neighborhood, but they are, in a different way and with considerably more theological and philosophical refinement, also emerging from James K.A. Smith and his grand, profound (and for some, game-changing) work in Desiring the Kingdom and Imagining the Kingdom (both Baker; $22.99 each.) To ask about embodied faith, a (re)new(ed) creation coming into being through the grace of the killed and resurrected One, to ponder the implications of what Jamie might call a neo-Calvinist or neo-Kuyperian worldview and way of life, leads us to, I believe, similar questions as are raised by Sara’s good tale. I know that some of our customers are reading Smith so hope they see the connection; other friends love Sara’s other books, and wanted to commend Smith to them. Anyway, I hope you found the Ash Wednesday story of City of God somewhat interesting. Such a wild and wooly adventure story maybe isn’t for everyone, or isn’t what every small group needs during this meditative time of Lent. So here are a few excellent resources that follow a bit more conventional devotional structure. (See a previous year’s list here.) We highly recommend using such books as companions for your spiritual reflections this time of year, and if this isn’t your custom, to build this sort of quiet and intentional reading into your own schedule this time of year, we invite you to consider it. These books will help, I’m sure. 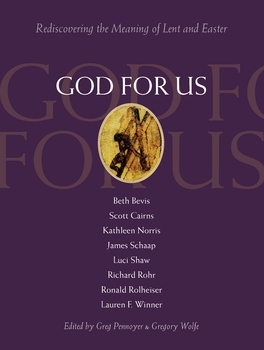 G od for Us: Rediscovering the Meaning of Lent and Easter edited by Greg Pennoyer & Gregory Wolfe (Paraclete Press) $29.99 There is no doubt that this is the most eagerly awaited volume of this sort, with some customers praying for it (literally, I hope) for several years, now. It is the fantastic, luxurious follow-up to the splendid and beloved devotional God With Us which is an Advent/Christmas volume. Here is what you should know about it: it was produced in cooperation with one of the most classy literary journals being published, the wonderful, rich, sophisticated, artful Image Journal. Image brings together serious writers, literary figures, and quarterly offers weighty essays, short stories, poetry, interviews with artists and musicians, and generally holds up a wonderfully crafted flag for the art/faith dialogue. It is less about the dialogue – what is a Christian view of aesthetics, how does faith impact literature and the like – but is an example of it. It is highly regarded. They insist that Lent is not “a time of vaguely spiritualized gloominess” and who better to help us realize the “bright sadness” of Lent than good poets and deep thinkers and those gifted with artful skills of offering rich and evocative meditations on the Bible? These fine daily reflections and prayers (and a few other pieces, too) are by Beth Bevis, Scott Cairns, Kathleen Norris, James Schaap, Luci Shaw, Richard Rohr, Ronald Rolheiser and Lauren Winner. What an absolutely great gathering of perspectives, from an a Orthodox poet to a Presbyterian contemplative, Catholic mystics, an Episcopalian priest and writer, a Dutch Reformed short story writer and a scholar of Victorian literature. And dear, beloved Luci Shaw – oh how her work thrills us! There is art and iconography aplenty, useful for lectio vizio, and delight. On the back cover it says “Lent and Easter reveal the God who is for us in all of life – for our liberation, for our healing, for our wholeness. Lent and Easter reminds us that even in death there can be found resurrection. This is a book to own, to give, to cherish. Kudos to Paraclete Press and Image for this magnificent book and for the great honor of getting to sell it. 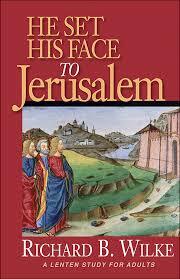 H e Set His Face to Jerusalem: A Lenten Study for Adults Richard Wilke(Abingdon) $8.99 We heard Bishop Wilke years ago when he was passionately working and writing for renewal within the United Methodist church. He has done Advent books, contributed to the popular Disciple Bible Study series, and is a strong, good leader. This is a fairly straight-on, obvious study (which is to say, it isn’t trendy or odd) of Jesus’ own journey to Jerusalem (announced so tersely in Luke 9:51.) 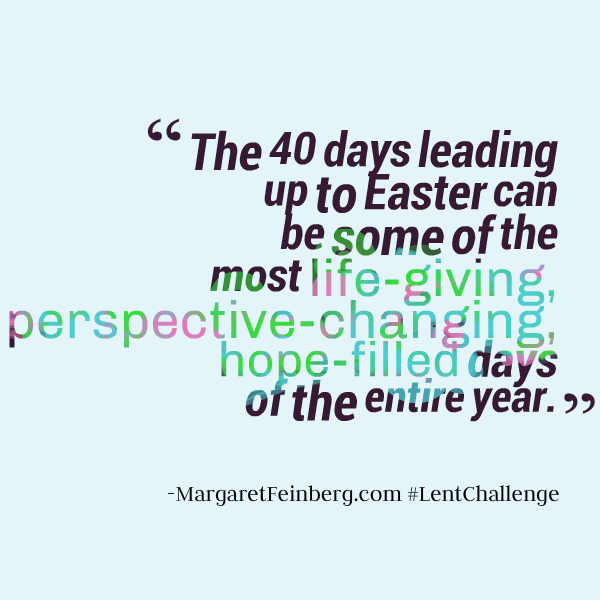 There are seven chapters, one for each week in Lent and one for Holy Week and Easter. Each session includes a Scripture reference, a personal reading, questions for reflection, a closing prayer, and a focus for the week. The book can be used for personal devotions but is ideal for small groups wanting a no-nonsense study of the seasons main story. 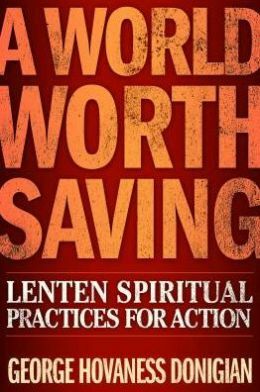 A World Worth Saving: Lenten Spiritual Practices for Action George Hovaness Donigian (Upper Room) $14.00 Perhaps you have been inspired by the memoirs of Sara Miles or others who have given themselves to organize their communities, to work for justice, to take stands in the name of the gospel for peace and human rights? 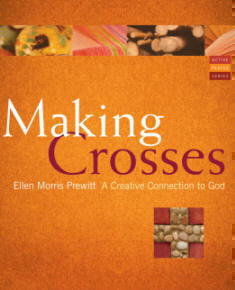 Maybe you were inspired by the recent simulcasts of the Justice Conference or even attended Jubilee, the college conference that invites students into the good news of the gospel in ways that “transform everything.” If you are a bit reluctant to celebrate Lent through spiritual practices that are too internal, too quiet, too seemingly disengaged for the world of need, this guide is for you. God believes the world is worth saving, and you can help! This is a 6-week study for Lent and it will help you grow your prayer life. You learn to pray about the new, discern the needs of those around you, and it helps you see how you can respond with greater compassion. Can you fast from apathy? Starve our guilt? Serve God by serving others? Refine our friendships? This is a praxis-oriented spiritual guide, a rare blend of the journey inward and the journey outward. Each weekly session has great readings, and good reflection questions for personal pondering and good ones for your small group to discuss together. It does give each reader some daily readings, too. Very nicely done. 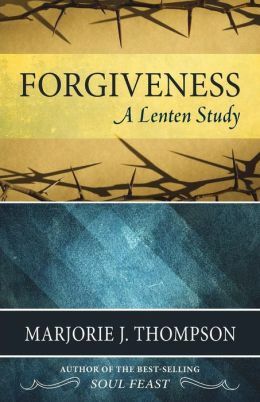 F orgiveness: A Lenten Study Marjorie J. Thompson (Westminster/John Knox) $12.00 Many of us value Marj Thompson’s Soul Feast as one of the best overviews and handbooks for developing a deeper spiritual life and as an excellent guide to enter into practices and disciplines for spiritual growth. Along with Richard Foster, say, she is a hero in the genre, and highly respected across denominational lines. It has been a while since she has published, and this lovely little books is a real gift. There are six chapters and there is a fine six-part study guide. She writes, “Forgiveness is the healing stream flowing out from the crucified Christ over a world that does not know how desperately it needs the healing.” This is a fine study of this perennial topic and offers remarkably detailed insight and guidance about the bold love we need to forgive those who have hurt us. It uses Biblical teaching and real-life stories. This really is so appropriate for the Lenten journey for almost all of us, although I suspect it will be well-used in other times and seasons as well. This is theologically rich and pastorally sound, and very, very inspiring. H idden in Christ: Living as God’s Beloved James Bryant Smith (IVP) $17.00 We just love the trilogy of “apprenticeship” books by Smith (The Good and Beautiful God, The Good and Beautiful Life, and The Good and Beautiful Community) and this amazing month of daily devotionals is a chunky hand-sized hardback. 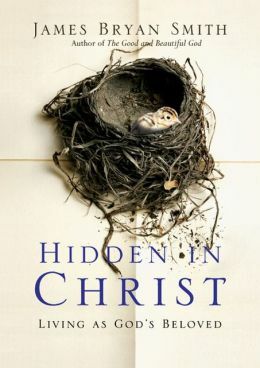 This is very, very good; here’s what the publisher says about it: “In this unique introduction to the hidden life in Christ, James Bryan Smith walks readers through a thirty-day immersion in Colossians 3:1-17. Each of the thirty short chapters of this book bring out the main truth of just one word or phrase of this rich passage. You’ll also find a very simple daily practice to take up, reflection questions and a guide for five weeks of group discussion. The only way to tell a story is to use words. May the words of Colossians 3 become a companion to you as God continues to write your story.” You will benefit from using this, I assure you. T he Kingdom and the Cross James Bryant Smith (IVP) $8.00. Speaking of Smith, by the way, last year we promoted this slim book, co-produced by Renovare, which prayerfully asks “why did Jesus have to die?” and offers good responses to the false narratives about the nature of God and our dumb ideas about religion. In six short meditations, this zooms in on Christ’s work on the cross and what it all means about who God is and how we’re to live as His people. It invites readers to see themselves as apprentices of Jesus and offers these reflections as crucial to help us live more faithfully into His Kingdom. 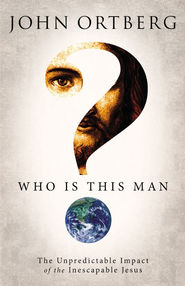 W ho Is This Man: The Unpredictable Impact of the Inescapable Jesus John Ortberg (Zondervan) $22.99 It is customary to think about Jesus during this liturgical cycle, and although we should always affix our eyes on Him, and keep always in our mind the work of the cross, now is certainly a time to ponder who He is, and what he has done. I think this is one of the best recent books about Jesus for ordinary readers, especially for those that aren’t familiar with heady theology or deep doctrine. In fact, this is ideal for seekers and skeptics, and has, despite its casual style and reportage of basic stuff, moved more than one mature reader to tears. May we suggest you use this time of the year to share this basic book about Jesus with someone who may not warm up to a typical devotional. This one is well worth it, and I highly, highly recommend it. 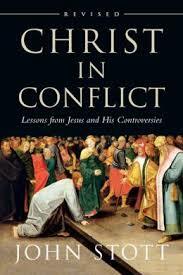 C hrist in Conflict: Lessons from Jesus and His Controversies John Stott (IVP)$16.00 I recommended this before, celebrating that the always reliable, thoughtful, solid early work of John Stott has been re-issued in this updated version. This is a fabulous study of the trouble Christ caused, the questions he asked, the ruckus that followed him. He invites us to ponder the meanings behind these controversies, and to see how he modeled a passion for truth and a life of grace. This is a marvelous book and I think you’ll come away knowing the gospel accounts better, and the Lord Himself better as well. That’s a big promise for a small book, but I am confident it will bear good fruit as you read Stott’s accounts of these dramatic encounters. T he Cross of Christ John Stott (IVP) $26.00 By the way, one can not go wrong studying carefully this magisterial work which offers good accounts of mostly traditional understandings of the many sides of Christ’s death and the saving power of the cross. Stott is very clear, serious but accessible, and always appealing to both the heart and the mind. This is a meaty evangelical work, worth pondering for Lent and well beyond. There are other ways to understand the crucifixion, and we would be wise to reflect on many authors, from many cultures and with different insights. This a classic, even beautiful rendering of a core, historic approach. If you don’t have a book like this in your library, you should consider it.